Vivid sunsets, pristine beaches, and a crystalline blue ocean: These are often the first visuals that come to mind when you think of Oahu, Hawaii. The dramatic, coastal beauty of our island offers incredible opportunities for outdoor adventures! Outcroppings of volcanic rock marked by lighthouses are prominent around the island. These beautiful structures have assisted in safe passage of maritime vessels for many years. If you’re up for a nautical adventure, consider a lighthouse hike on Oahu! Here are just a few of our favorite spots. Are you looking for other ways to experience our island to the fullest? Access our free Vacation Guide for our best suggestions for outdoor recreation, dining, entertainment, and more. From scenic lighthouse hikes on Oahu to the best places to grab a refreshing shave ice, our guide has it all. Access your copy today so you don’t miss out on any of the exciting things to do on Oahu. The island of Oahu is packed with both land and sea adventures. One off-the-beaten-path activity that allows you to experience both is a lighthouse hike on Oahu! Some trails are more challenging than others, but all offer magnificent views of the dramatic cliffs and serene ocean that surround. It’s time to grab your hiking boots and check out these incredible lighthouse hikes! The Makapu’u Lighthouse Trail in Waimanalo (on the East Shore) is one of the most popular Oahu lighthouse hikes. This short hike is just two miles round-trip! It’s also paved, making it more accessible for those with disabilities. The lighthouse, which was built in 1909, is still functional. From the summit of this trail, you can see expansive views of Makapu’u Beach, the inside of Koko Crater, offshore islands, and the lighthouse (from a distance). You will pass cacti on your way up, and you’ll enjoy the sights and sounds of the waves crashing on the cliffs below. If you go between December and May, you may even catch a glimpse of a whale! If you’re feeling adventurous, you’ll want to explore the tide pools along the Makapu’u Lighthouse Trail. They can be dangerous, however, so exercise caution. Drinking water is not available on this hike and the trail is bathed in sun, so bring lots of water and sunscreen. A good time to visit the Makapu’u Lighthouse Trail is at sunrise due to cooler temperatures and a beautiful sunrise view. The Diamond Head Hike on the South Shore of Oahu is another very popular hike. This trail winds along the side of an inactive volcano and is just over 1.5 miles round-trip. The Diamond Head Lighthouse Trail was originally developed for the U.S. military, but is now open to the public. The lighthouse itself is not accessible, but can be viewed from a distance. It was built in 1899 and has since secured a spot on the National Register of Historic Places. Along the way, you will pass through various historic locations and landmarks. If this somewhat strenuous hike doesn’t take your breath away, the views will! From the summit, you can see Honolulu and Waikiki, and the dreamy blue ocean. Before leaving your beachfront home at Diamond Head, be sure to grab water and a snack for your trip. The climb is steep, but the views are worth it! If you long to see lush foliage and panoramic views of Oahu, the Ka’ena Point Lighthouse Trail is an excellent choice. While all that remains of the original lighthouse is a concrete base, the point is still marked by a navigational light. This trail is located on the westernmost point of Oahu! This hike is particularly rewarding to nature enthusiasts, as it takes you through a nature reserve and bird sanctuary. You will see many intriguing birds here, like the Laysan albatross. You also have a good chance of seeing a monk seal, an endangered species. You can approach this lighthouse via two different trails: from the Mokuleia side or the Waianae side via Ka’ena State Park. Be sure to bring lots of water and sunscreen for this hike, since conditions here can be hot and arid. Hiking to Ka’ena Point is more of a challenge; both of the Ka’ena Point trails are five miles round trip. The lighthouse that is currently at Barbers Point was built in 1933 to replace the 1888 original. This trail is right outside Kalaeloa on the southwest tip of the island. While there is no hike associated with this lighthouse, a trip to the onsite beach park is a fantastic alternative! Though this beach is off the beaten path, it offers views of the 71-foot Barbers Point Light and a sandy shore peppered with rocks. We recommend spending an afternoon relaxing at the Barbers Point Lighthouse Beach Park and staying to watch the sunset! This beach is not ideal for swimming, but it’s still a great place to snap a photo of an important Hawaiian landmark. This lighthouse is a little different from the others featured on this list. Instead of being situated on a beach or cliff, the Aloha Tower Lighthouse is in downtown Honolulu. For many years, this light served as a lookout tower and a navigational light. While it no longer functions as a lighthouse, it remains one of the most recognizable buildings on Oahu. Visit the Aloha Tower Lighthouse for views of both Honolulu’s cityscape and the harbor. We recommend ascending to the 10th floor observation deck for unobstructed, panoramic sights! Due to its location in town, there technically isn’t any hiking involved, but you can certainly spend a lot of time walking around downtown and exploring the bustling marketplace that now surrounds the tower. Come Home to Luxury After a Day of Exploring! 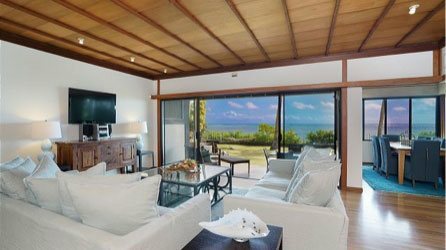 After enjoying one of the best lighthouse hikes on Oahu, come home to the luxury of a Hawaii Beach Homes vacation rental! 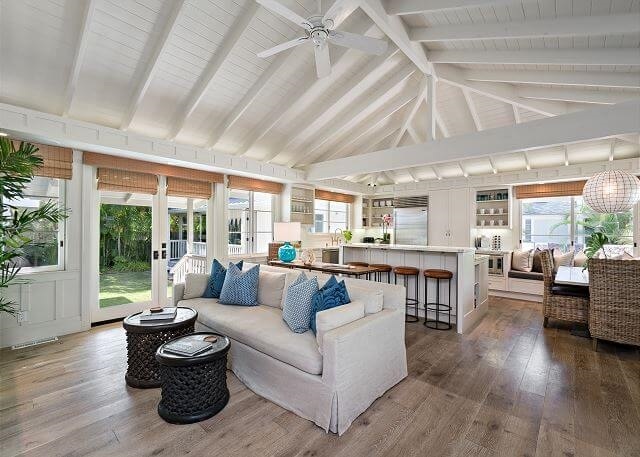 There’s no better way to end an eventful day full of activities like hiking and swimming with dolphins than by relaxing in a private beach house. You’ll love reflecting on the sights of the day as you drift off to sleep to the sound of distant waves gently crashing. Be sure to check out our specials for the ultimate local experience and best deals on Oahu! Our Diamond Head on the Park property is in the perfect spot to experience the best hiking Oahu has to offer. It features a spacious, bright interior, fenced pool, hot tub, and barbecue area. 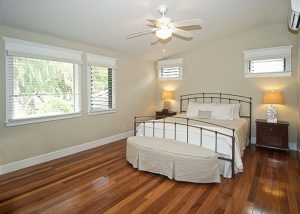 It is within walking distance of the Waikiki Strip which offers fine dining, high-end shopping, and so much more. You’ll love that it’s just minutes away from the Diamond Head Lighthouse! 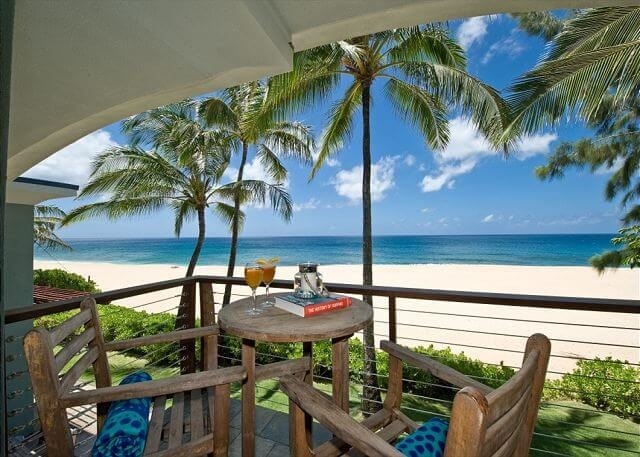 Book your dream vacation home with Hawaii Beach Homes today! We can’t wait to host you.